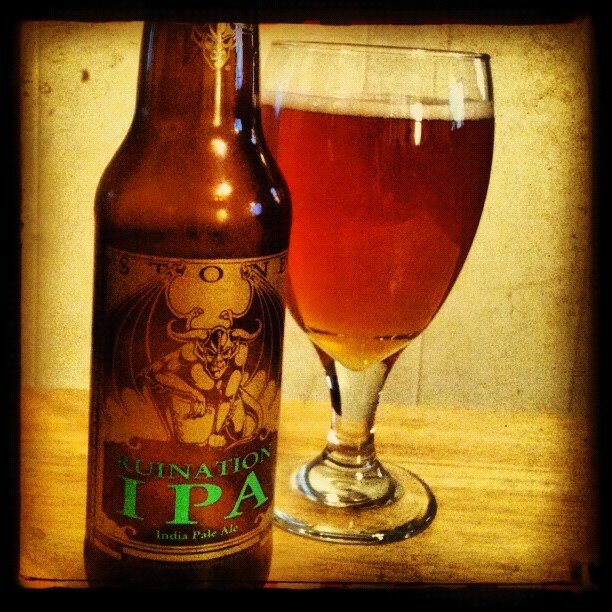 If black IPAs are the style that won me over to IPA, it was Stone's Ruination that cemented my love for big hops. Ruination is not a gentle, entry level IPA. I'd almost certainly have not enjoyed it, had I had it back when all I wanted was stout. But this beer, with it's huge, aggressive hop overload, changed me forever. The 10th anniversary version, with higher ABV and more hops, is my favorite beer of all time. I hate that it's gone. But the original Ruination is a favorite, too, and one that I return to happily, time and time again.